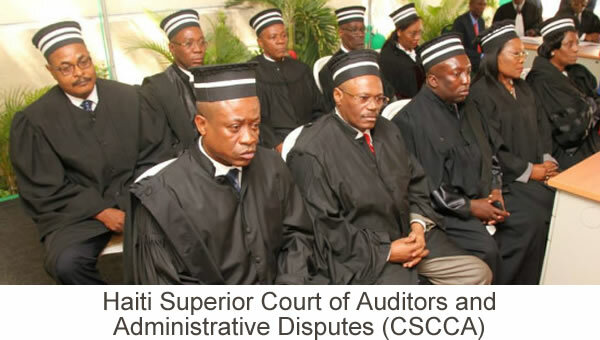 Here is a picture of the Superior Court of Auditors and Administrative Disputes (CSCCA) in Haiti. Recently, on Monday, May 26, the Superior Court of Auditors and Administrative Disputes (CSCCA) has released a note expressing its denouncement on the campaign of disinformation and denigration accompanied by veiled threats against its reporting about the formal state officials, to the Parliament. However, as per the note, this act or campaign of intimidation will not affect CSCCA's ability and fairness to judge the acceptability of the public accounts, including the audit of records relating to any former ministers and prime ministers. The CSCCA will take all necessary measures to the person involved in the process including their family members. The CSCCA has been working extra time since January to cope with over 40 number cases pending before the court related to the former managers or ministers of public funds who wished to participate in the upcoming elections. Since the former managers and ministers' involvement with the public fund are under their scanner, it is not difficult to apprehend about the source of threats.